Oversteps is nothing less than Autechre's latest masterpiece. The first thing you must know about Oversteps, the latest in Autechre's apparently neverending stream of album releases: its second track, "ilanders", is the easiest-to-love Autechre track since "Second Bad Vilbel" arrived 15 years ago. The two tracks are not similar in any identifiable way -- one is centered on the perfect implementation of the factory-sounds beat that was so fashionable in the mid '90s, while the other is centered on a dark bass synth melody that takes center stage while various percussive noises skitter throughout the aural landscape -- and yet it is that 15-year-old track that comes to mind every time "ilanders" comes through the speakers. Part of it is a general sense of alien despair that both manage to evoke, but mostly, it's the idea that someone could hear this track, isolated from the rest of the Autechre catalog, and suddenly be interested in everything else the duo has to offer. That this could be written about a piece of Autechre's music now, long after it had been accepted that Autechre had simply abandoned any pretense of creating music that could ever be considered enjoyable (in the superficial, non-analytical sense of the word), is remarkable. Autechre has lasted this long as a viable topic of discussion largely because of the unlistenability of the music put out under that name. Autechre's music has certainly followed a trajectory of increasing complexity since the relatively simplistic and ordinary Incunabula, but unlike many artists who go this route, Autechre has never seen its music's added complexity become a matter of diminishing returns. If there is a threshold at which music becomes too complex for the "average" listener to bear, Autechre began to ignore that threshold around the time of 2001's Confield. This has resulted in a stream of albums that make more sense as mathematical algorithms than music; while each album has moments that seem to "make sense", and while each successive release is more likely than the last to be lauded with backhanded compliments like "return to form" and "best album since (one of Tri Repetae, Chiastic Slide, or LP5)", they all feel like new territory. It's never quite clear whether Sean Booth and Rob Brown are going for a feeling, or a statement, or a cohesive set of songs, or just a random collection of the coolest things they plonked out in the the year previous to an album's release. That's up to us to decide, and coming up with anything approaching consensus on any one of the four albums since LP5 has proven utterly impossible. Without all of this history, Oversteps wouldn't seem nearly as confounding, nor as brilliant, as it does. 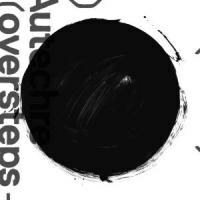 Oversteps feels like a step backward in Autechre's catalog until you realize that Booth and Brown have never made anything quite like it. Perhaps with the newly-turned decade comes, instead, a new direction for the pair. At the very least, for one album, Oversteps is a shift in focus, from the complexity and precision of the beats to the function of melody and tonality as it applies to electronic music. The reason Oversteps feels ultimately like a shift and not a step back is that, like everything else Autechre has released since 2000, it asks more questions than it answers. Is there any actual sound encoded in the first eight seconds of opener "r ess", or is it just silence meant to further the track's elongated fade-in? Can a track reverse commonly accepted structural mores, as "ilanders" seems to, by making the melodic elements foundational while the rhythmic variations attract the ears' attention? What is the threshold of variation in the rhythms of melodies at which those melodies start to break down ("see on see")? If Autechre writes a synthpop song ("d-sho qub"), can you still call it a synthpop song? That last brings me back to my original point: "ilanders", "d-sho qub", "redfall", and a smattering of other tracks and moments on the disc are meticulously designed to make the listener smile. "ilanders" evokes the smile of familiarity, "d-sho qub" inspires the delighted smile of being in on the joke for once, while "redfall" introduces the smile of awe that comes with the constant discovery of textures as they move from background to foreground. This is the balancing act that I'm not sure we ever thought we'd see from Autechre: a marrying of the innate listenability of the early years with the complexity of more recent times. By shifting the focus from the percussion to the melodic elements, the complexity has simply been made more palatable. Oversteps is not a look to the past, nor is it a look to the future. It renders Autechre's trajectory impossible to predict, even as it has the potential to reignite the passion for the duo that albums like Chiastic Slide and Tri Repetae originally inspired -- a passion that albums like Confield and Quaristice toyed with, despite their own sets of charms. It's a masterpiece -- not Autechre's first, and almost certainly not the last, reestablishing their place as standard-bearers in the genre.